Ever fancied yourself as the new Van Gogh? Or how about Gould? Test your artistic skills and let your imagination and creativity shine through with Paint by DS! Ever fancied yourself as the new Van Gogh? Or how about Gould? Test your artistic skills and let your imagination and creativity shine through with Paint by DS! Paint by DS lets you swap your pencil and paintbrush for your DS stylus and re-create some of the art-world’s most timeless classics like Hokusai’s The Waves or Cezannes Le Golfe de Marseille. Paint by DS sees you select your paintings from three different difficulty levels and able to find the perfect level for your ability. When you aren’t busy painting your masterpiece, you can unlock more Paint by DS tools, canvases and frames by completing a multitude of Paint by DS mini games! You can also display your finished Paint by DS pièce de résistance in your own gallery to enjoy over and over again. 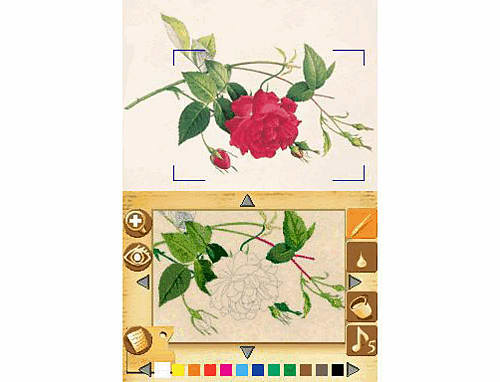 Recreate: Paint classic pieces of artwork and still life images on your DS. Stylus control: Paint by DS lets you use the DS Stylus as your painting tool. Use a selection of tools: Paint by DS includes watercolour, oil paints and pencils. Save your masterpieces: Create your own personal Paint by DS gallery. 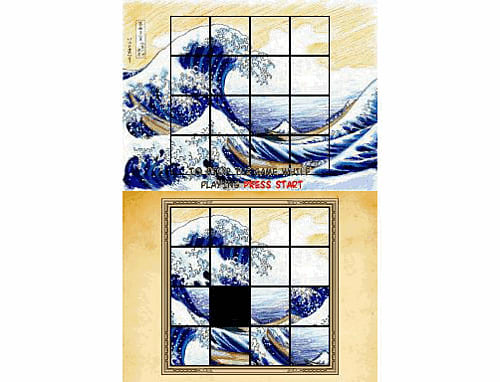 15 classic pieces: All artwork in Paint by DS is available for you to reproduce! Unlock a selection of additional items: Paint by DS includes new frames and canvases. 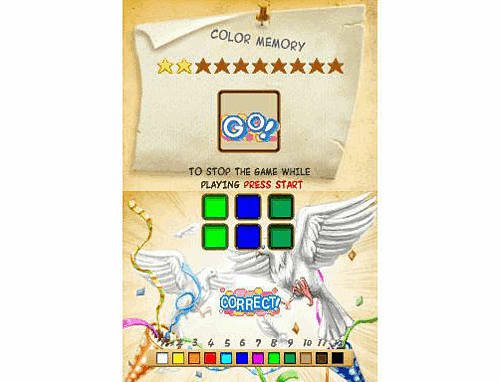 Paint by DS minigames: Compete in mini games to improve your skills. Paint to your heart's content: Paint by DS features up to 40 hours of gameplay!